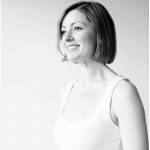 Naomi Clark started practicing Iyengar and Hatha Yoga in 1998, but it wasn’t until her first Bikram Yoga class, a couple of years later, that she began to address the knee pain she had suffered after a car accident. 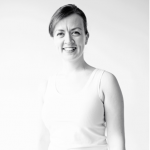 Having found a practical way to manage the demands of everyday life, whilst restoring physical health, Naomi trained to be a teacher in 2001. She taught in California, Colorado, Hawaii, Jamaica, Ibiza, London, and Brighton, before opening the first Bikram Hot Yoga Studio outside of London in 2003. How did discover Bikram Yoga and how long have you been teaching for? I first started to practice Bikram when I was living in Boulder, CO USA in 1998 – a friend took me and we kept getting told off for talking in class – the teacher moved my mat in the end to separate us! I started teaching after training in 2001 and came to the UK in 2002 after Bikram told me to go to Brighton to teach there. What’s your favourite/ least favourite Bikram posture? I have never had an easy relationship with locust pose – I have had an open relationship with Triangle but for the last 5 or 10 years we have been pretty committed to one another. Separate leg head to knee and I have always been close – but my medicine is fixed firm pose. Doesn’t it change every day? I did split my yoga leggings in the crotch once whilst teaching but I turned it into a theme for contemplation so all was well! I don’t feel guilt – but my pleasure has to be raw chocolate – cacao yum! Best Bikram moment to date -personal or professional? There are too many to mention – I have amazing moments daily due to teaching over 1000 people Bikram Yoga every week and the learning they bring – I am enormously grateful to do work I adore! What did you do before you became a Bikram teacher? I had many jobs from working in Boots the Chemist to being a Yellow Pages rep. I have a degree in fine arts but was working in Dotcom Startups before Bikram yoga changed all that. What would you Bikram top tips be for beginners and regular practitioners? For beginners, ignore your body. For regulars – listen to your body. What the question you are most asked by your students and what is your answer? Most of them say ‘I don’t get rabbit pose’ – I say ‘Let’s take a look at it!’ Most Students just don’t know HOW to feel in a posture and they are looking for depth – of course that misses the whole point and looking inwards is something most of us haven’t yet learned to do. It always tickles me when Students come to me on front desk and say ‘It hurts when I do this…’ I say ‘Don’t do that then.’ Simple. If there is one thing you could say to all Bikram Yogis would what it be? Be happy – you are perfect already! And keep getting back on the mat.